Distinction: Highest mountain in Ecuador; the summit is also the point furthest away from the center of our planet (due to Earth being thicker on the equator and flatter on the poles). 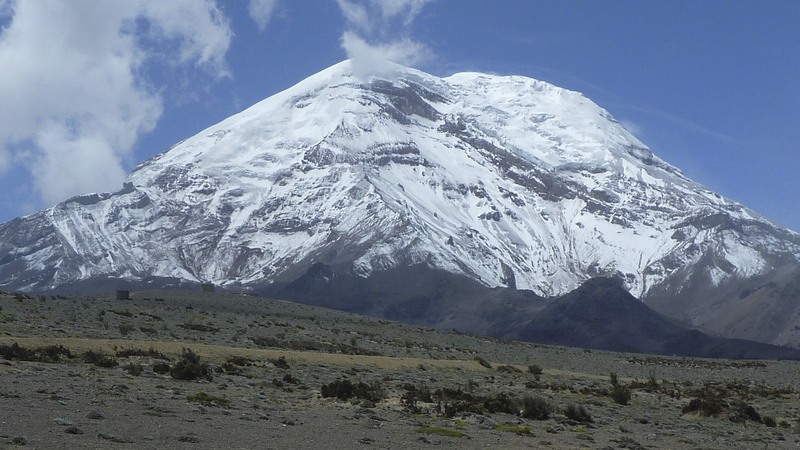 Summary: I climbed Chimborazo with local mountain guide Jose on June 26, 2010 in a 11 hr round-trip march from the Whymper refugio (5000 m). We had hiked up to the refugio from the end of the road (4800 m) the day before and tried to get some sleep in the bunk beds of the Whymper hut. Unfortunately the weather was not good at all with very strong winds rattling the hut and blowing spin drift fine snow on our sleeping bags and faces in the hut. We got up an hour before midnight to assess the situation but decided not to leave the hut. A little after midnight we got up again and decided to give it a go. My wife Jill had also been up at the hut, but due to her not feeling well after Cotopaxi and taking antibiotics for a skin wound on her hand she decided not to attempt the Chimborazo climb. Jose and I climbed through the steep rocky area called the ‘Castle’ and reached the glaciated ridge after about 3 hrs. From here we continued on up despite horrible weather conditions with near zero visibility and blowing snow and ice. After another 5 hrs of this seemingly endless drudgery we stood on top of the Ventimilla summit, but stayed only for about 5 minutes. A very tiring 3 hr descent brought us back safely to the Whymper hut, and a short descent from there back to the road and the jeep. 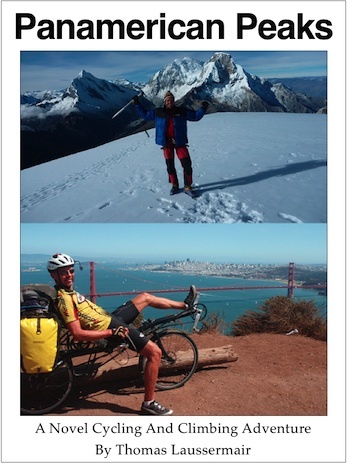 See also the Blog post on Cotopaxi and Chimborazo.